Our Dry/Sensitive Towelettes are infused with natural and organic botanicals that gently remove eye & face make-up. These soft towelettes gently cleanse and rehydrate for healthy looking skin. Our convenient travel size sachets can be used anywhere, anytime, throughout the day. 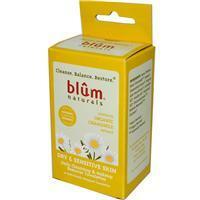 Chamomile Extract, also known as Anthemis Nobilis, is derived from the Chamomile flower. It soothes and regenerates itchy, flaky, and dried skin for a smooth and healthy glow. Aqua (Water), Decyl Glucoside**, Organic Chamomile Extract*, Organic Aloe Vera Extract*, Lavender Oil*, Vanilla Oil*, Patchouli Oil*, Gluconolactone***, Sodium Benzoate***, Glycerin*.